Elderly people and nursing home residents are particularly prone to accidents. As a Chicago nursing home neglect attorney, I understand that it is critical for nursing homes to provide residents with a safe environment. Objects need to be out of the way and rugs need to be secured so that they will not slip and fall. The ability of people to protect themselves from injury is affected by a number of factors. The elderly can have special problems protecting themselves from injury. Many times in the elderly nursing home resident their balance can be impaired. Or if lost, it is difficult or impossible to be regained. Sometimes an elderly person may need to stand up slowly, preventing loss of balance that can result from quick, sudden movement. Slowness of movement and decreasing sensual activity can also contribute to the likelihood of injury. Elderly persons may neither see nor hear approaching dangers. They may not see a foot stool or throw rug or hear a meal cart turning the corner. 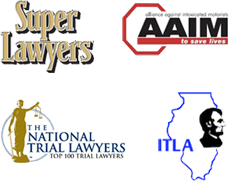 A knowledgeable Chicago nursing home abused lawyer understands that elderly patients sometimes have an impaired level of consciousness due to many factors. Most nursing home accidents are due to negligence and are preventable. Falls are very common in nursing home residents. They generally have less strength and frequently lose their balance readily. Nursing Home personnel need to take additional precautions to prevent avoidable injuries to residents.